Penanshin is about people. A brand built by people. For people. Established in 1998 by a group of entrepreneurs from Singapore, Thailand, Malaysia, Hong Kong and Philippines, Penanshin has had a long and illustrious history as an integrated one-stop freight forwarding services company for more than 10 years. 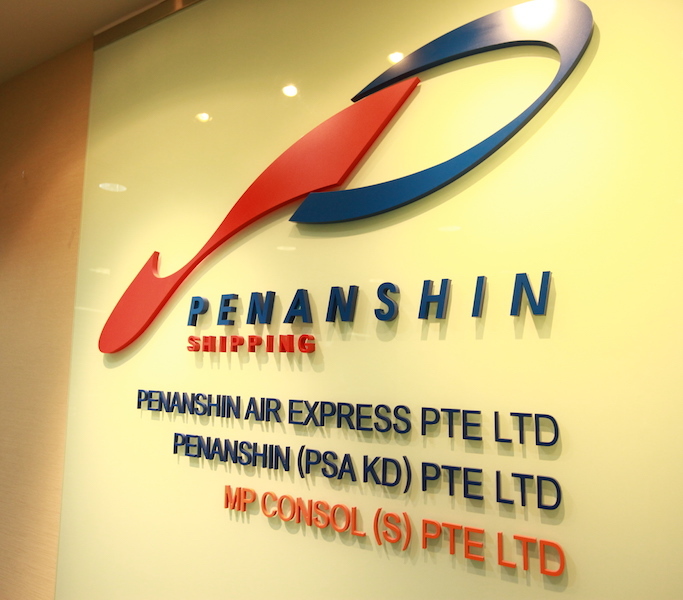 From our humble beginnings as a neutral NVOCC company, Penanshin has grown to be a profitable major player in freight forwarding services in the Asia Pacific region with strategic footprints in 10 countries, from Singapore, Brunei, Cambodia, Malaysia, India, Indonesia, Pakistan, Philippines, Thailand to Vietnam. Along the way, we have fostered many lasting business relationships with our partners and customers, of which bear testimony of our success in building a first-class air, sea and ground handling company known for its quality service. At Penanshin, if you are not satisfied, neither are we. As your customers have come to expect the best from you, we, at Penanshin, have made it our goal to ensure you are at your best. Always. Our relentless drive is to continually improve our quality and service delivery, and we achieve it through our people’s concerted effort. Empowered with the skills, self-belief and devotion to think, speak and act as one, Penanshin aims to become a world-class freight forwarding and consolidation Company, delivering and adding value to obtain highest customer service satisfaction and requirements. At Penanshin, we aim high. Nothing but the most advanced technology and the latest equipment will do. Albeit our outstanding service acknowledged by our partners and customers, we remain steadfast in seeking new grounds to excel and are always looking ahead to find new and better ways to improve ourselves. In all that we do, our goal is to optimise partnership, as well as provide innovative plans and reliable services for every encounter with you. We seek to enhance ourselves constantly in our industry, and nurture our human and intellectual capital to achieve organisation excellence. For more than 10 years, Penanshin has continuously served its customers with distinction and dedication. At the heart of Penanshin, our intent is to grow in tandem with our partners and customers, whilst serving them with sincerity, care and thoughtfulness, coupled with state-of-the-art equipment to ensure peace of mind and an enriching freight experience with us – that is the reason why many have chosen to take their business to greater heights with us. At Penanshin, we are not just setting track records. We are breaking new grounds. New horizons. Exciting possibilities. Besides ensuring competitive handling rates to you – our partners and our customers, Penanshin employs the latest computer and information technology to provide you with comprehensive and customised services. Our innovative mindset running seamlessly throughout our organisation and offices across the Asia Pacific region has enabled us to conceive pioneering value-adds for your freight needs to serve you and your business better. At Penanshin, we pride ourselves on our readiness and attention to details. For this reason, we have made it our goal not only to serve you professionally - like we always do - but also to afford you ease of mind and quality service, right from the start. Our sharp focus on greater efficiency in operations, improved cargo tracking and on-time delivery of shipments, demonstrate Penanshin's readiness to meet the exacting needs of all our customers, like no other. We handle everything entrusted to our safekeeping with the utmost care and discretion, with the help of the most sophisticated and advanced equipment available. We aim to provide a single point of contact in ensuring a high level of service and undivided attention for a customised seamless freight support for you. The people we hire are the best. At Penanshin, we invest heavily in staff training to ensure they lift up to the highest standard we set for ourselves. In total, our experienced and dedicated staff handle over millions of cargoes a year. However, despite the huge figure, not a single one of them is ever treated as a mere ‘number’. Friendly, attentive and professional – these are hallmarks of our outstanding customer service. In our continuous pursuit to take the lead in raising the standards of freight services, we remain creative and innovative by constantly looking at different ways to provide total logistics with exceptional state of the art services, which caters to your every need. At Penanshin, we believe the only way to stay ahead of a fast evolving world is to constantly reinvent ourselves, and we take advantage of our leading presence in the Asia Pacific region to deliver our promises. Our commitment to quality is personified in our dedicated and experienced staff, who are trained to provide all our customers with round the clock accurate shipment details and documentation assistance. With their unwavering dedication to getting the job done right the first time, we can and do make that salient difference to your freight needs. From attentive to efficient, warm to professionalism, we live up to our promise to deliver outstanding customer service to you and your business by going to great lengths to better serve you. No less. Your success is also ours. At Penanshin, we share your aspirations as our very own and believe in being totally committed to providing you with no less than hassle-free and on-time deliveries. All these and more to build deep and lasting relationships with you - our partners and customers - which underlines our vision of Shipping Made Simple. This is our promise.